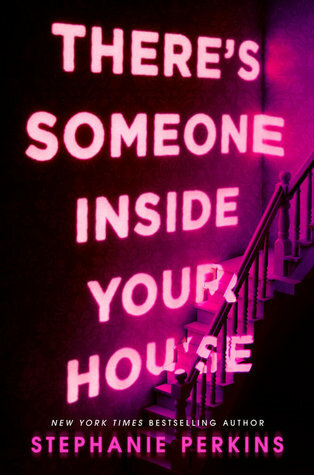 I’ve made no secret of the fact that I’m not enjoying this series as much as I did Vampire Academy. Of course, I shouldn’t compare the two since they are separate series, but it’s difficult not to. With Vampire Academy, Richelle Mead created a world and characters that I was engrossed in, and that I fell completely in love with. I just don’t think the Bloodlines series has the same charm, whether it be because Rose is not in it, or I’m not completely invested in the world of witches and Alchemists. Sydney isn’t as appealing as Rose was, although I have grown to really like her as this series has progressed. She’ll never be a favourite of mine, but I enjoy reading about her as she starts to explore what she can do, and breaks the ties with the Alchemists who have been holding her – and many others -back. We got Adrian’s point of view in The Fiery Heart. I know everyone was very excited for it (I was to an extent) but after reading the book I wish Mead had just stuck to Sydney. I feel as though a lot of the mystery was taken out of the story now that we have both points of view. I like the Sydney and Adrian relationship, I do, but it’s nowhere near as epic as my other ships have been. Rose and Dimitri in Vampire Academy are one of my top couples, and Eugenie and Dorian from Dark Swan are swoon-worthy. I don’t know what’s gone wrong with Sydney and Adrian, but there’s not as much chemistry there. There’s no fire. The plot itself was an interesting, yet forgettable one. I read this back in November and all I really remember at this point (May 2014) is the phone that went missing and what happened with that. ~vague info is vague~ I think there was too much romance dragging down the plot; a romance which I really wasn’t invested in in the first place. I wanted more on the spirit stuff, and if 80% of the plot could have dealt with that and the vampires, I would have been happy. But, unfortunately, this series is not VA.
Plus, I feel like the story is being dragged out too much. It’s too thin. If this series had been condensed to a trilogy, I think it would have been exciting and heartbreaking and enthralling. But the plot feels weak in comparison to the epicness that is Vampire Academy (there I go with the comparisons again), and it’s disappointing. 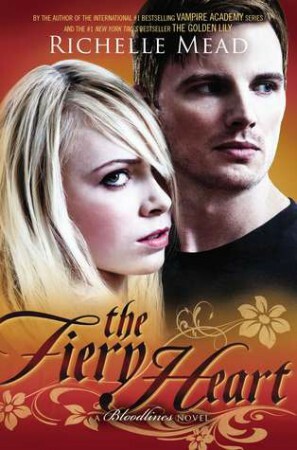 All that said, I did enjoy The Fiery Heart. It’s not my favourite book of the series, and I’m not particularly excited for the next book, but I’ll continue reading in the hope that it will get better. It will get better, right? I’ll be crossing my fingers for this series, as much as I will be for Jennifer L. Armentrout’s Lux series, because the fourth book in that one was also disappointing (read: attrocious). It’s too bad you didn’t enjoy this book much. I’m keeping them until the series have been completed, so I can read all the books in one go. I loved Vampire Academy, it might hard to find something that’s equally fantastic. That’s probably a good idea. Maybe they’ll be more enjoyable when read back-to-back? It’s missing the Vampire Academy feel to it, which is really sad. I hope you enjoy them, though!